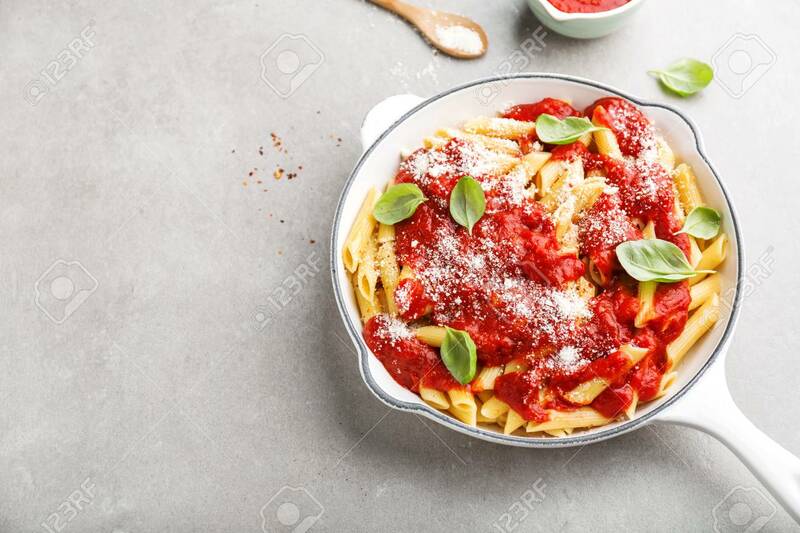 Tasty Appetizing Italian Pasta Penne With Tomato Sauce And Cheese Parmesan On White Pan. Served On Grey Table. Horizontal With Copy Space. Lizenzfreie Fotos, Bilder Und Stock Fotografie. Image 114631583.